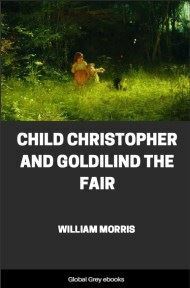 Child Christopher and Goldilind the Fair, set in the forested land of Oakenrealm, was Morris' reimagining and recasting of the medieval Lay of Havelock the Dane, with his displaced royal heirs Christopher and Goldilind standing in for the original story's Havelock and Goldborough. 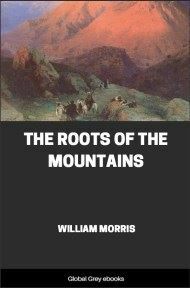 In contrast to his source, Morris emphasizes the romantic aspect of the story, giving a prominent place to the heroine's misfortunes and bringing to the forefront the love story between her and the hero; the warfare by which the hero regains his heritage is relegated to a secondary role. 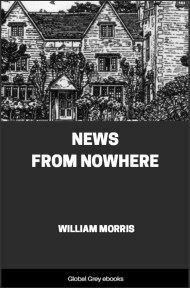 Also unlike both the source and most of Morris's other fantasies, there is little or no supernatural element in this version of the story. 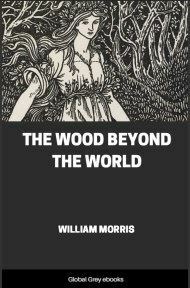 Of old there was a land which was so much a woodland, that a minstrel thereof said it that a squirrel might go from end to end, and all about, from tree to tree, and never touch the earth: therefore was that land called Oakenrealm. The lord and king thereof was a stark man, and so great a warrior that in his youth he took no delight in aught else save battle and tourneys. But when he was hard on forty years old, he came across a daughter of a certain lord, whom he had vanquished, and his eyes bewrayed him into longing, so that he gave back to the said lord the havings he had conquered of him that he might lay the maiden in his kingly bed. So he brought her home with him to Oakenrealm and wedded her. Tells the tale that he rued not his bargain, but loved her so dearly that for a year round he wore no armour, save when she bade him play in the tilt-yard for her desport and pride. So wore the days till she went with child and was near her time, and then it betid that three kings who marched on Oakenrealm banded them together against him, and his lords and thanes cried out on him to lead them to battle, and it behoved him to do as they would. So he sent out the tokens and bade an hosting at his chief city, and when all was ready he said farewell to his wife and her babe unborn, and went his ways to battle once more: but fierce was his heart against the foemen, that they had dragged him away from his love and his joy. Even amidst of his land he joined battle with the host of the ravagers, and the tale of them is short to tell, for they were as the wheat before the hook. But as he followed up the chase, a mere thrall of the fleers turned on him and cast his spear, and it reached him whereas his hawberk was broken, and stood deep in, so that he fell to earth unmighty: and when his lords and chieftains drew about him, and cunning men strove to heal him, it was of no avail, and he knew that his soul was departing. Then he sent for a priest, and for the Marshal of the host, who was a great lord, and the son of his father's brother, and in few words bade him look to the babe whom his wife bore about, and if it were a man, to cherish him and do him to learn all that a king ought to know; and if it were a maiden, that he should look to her wedding well and worthily: and he let swear him on his sword, on the edges and the hilts, that he would do even so, and be true unto his child if child there were: and he bade him have rule, if so be the lords would, and all the people, till the child were of age to be king: and the Marshal swore, and all the lords who stood around bare witness to his swearing. Thereafter the priest houselled the King, and he received his Creator, and a little while after his soul departed. But the Marshal followed up the fleeing foe, and two battles more he fought before he beat them flat to earth; and then they craved for peace, and he went back to the city in mickle honour. But in the King's city of Oakenham he found but little joy; for both the King was bemoaned, whereas he had been no hard man to his folk; and also, when the tidings and the King's corpse came back to Oakenrealm, his Lady and Queen took sick for sorrow and fear, and fell into labour of her child, and in childing of a man-bairn she died, but the lad lived, and was like to do well. So there was one funeral for the slain King and for her whom his slaying had slain: and when that was done, the little king was borne to the font, and at his christening he gat to name Christopher. Thereafter the Marshal summoned all them that were due thereto to come and give homage to the new king, and even so did they, though he were but a babe, yea, and who had but just now been a king lying in his mother's womb. 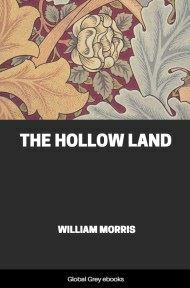 But when the homage was done, then the Marshal called together the wise men, and told them how the King that was had given him in charge his son as then unborn, and the ruling of the realm till the said son were come to man's estate: but he bade them seek one worthier if they had heart to gainsay the word of their dying lord. Then all they said that he was worthy and mighty and the choice of their dear lord, and that they would have none but he. 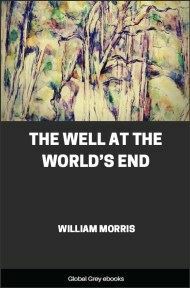 So then was the great folk-mote called, and the same matter was laid before all the people, and none said aught against it, whereas no man was ready to name another to that charge and rule, even had it been his own self. Now then by law was the Marshal, who hight Rolf, lord and earl of the land of Oakenrealm. 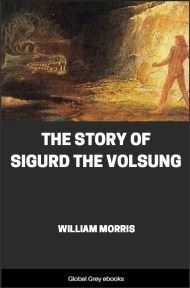 He ruled well and strongly, and was a fell warrior: he was well befriended by many of the great; and the rest of them feared him and his friends: as for the commonalty, they saw that he held the realm in peace; and for the rest, they knew little and saw less of him, and they paid to his bailiffs and sheriffs as little as they could, and more than they would. But whereas that left them somewhat to grind their teeth on, and they were not harried, they were not so ill content. So the Marshal throve, and lacked nothing of a king's place save the bare name.